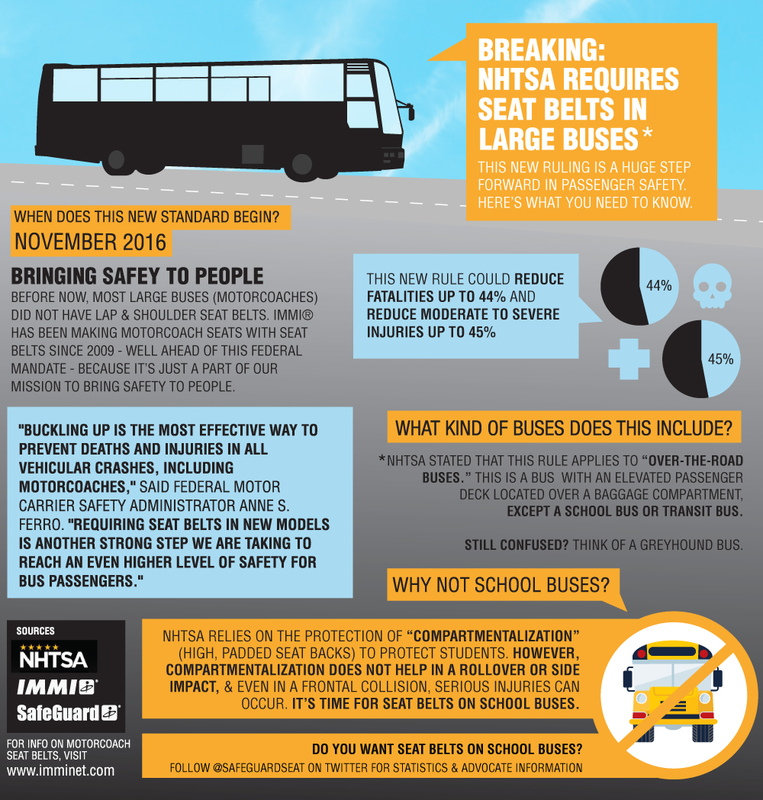 Learn everything you need to know about the new ruling from NHTSA that requires large buses (excluding school buses) to have seat belts starting in 2016. This new ruling has some caveats and can be a little difficult to understand. To help, we made this handy infographic. 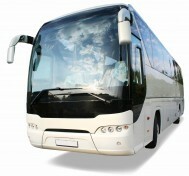 Did you know that seat belts on school buses was expressly excluded in this new ruling? We think we should get it mandated next time. Click here to see just a few reasons why there should be seat belts on school buses. If you agree that there are No More Excuses® and that it’s time for seat belts on school buses, request an advocate kit to get the movement started in your area.